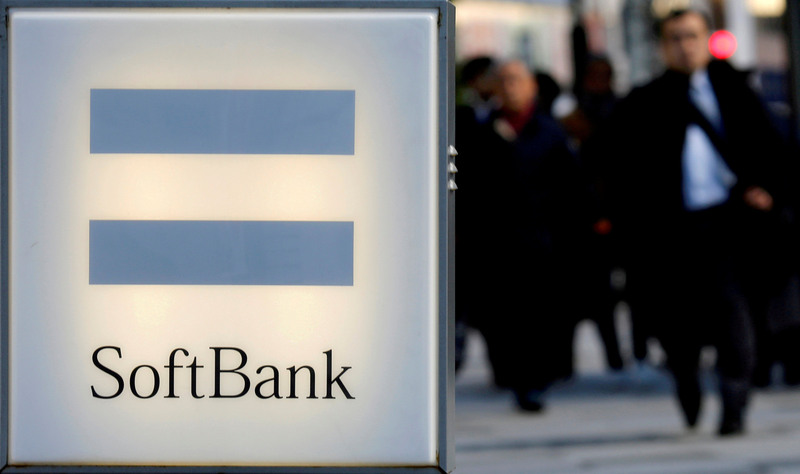 U.S. hedge fund Tiger Global has built a stake worth over $1 billion in SoftBank Group Corp. as it considers the Japanese firm to be undervalued, a source with direct knowledge of the matter said, driving SoftBank shares up as much as 6.8 percent. Tiger, which manages around $22 billion (about ¥2.46 trillion) in assets, told investors in a letter that SoftBank’s stock price has not increased over the last five years even though its holding in Chinese e-commerce giant Alibaba has added more than $90 billion in value, the source said Wednesday. The Japanese tech and telecommunications conglomerate, run by billionaire Masayoshi Son, has become deeply leveraged in its pursuit of winning investments. Besides Alibaba, it has stakes in U.S. telecom firm Sprint Corp. and Yahoo Japan Corp. Son, at the company’s annual general meeting for shareholders last month, said that a “conglomerate discount” was weighing on the company’s shares and the stock should be trading above ¥14,000 rather than where they were then, at around ¥8,000, accounting for its investments. “We continue to believe the market significantly undervalues our stock and we welcome the support from a sophisticated institutional investor like Tiger Global,” SoftBank said in an email Thursday. SoftBank’s shares rose to as high as ¥9,413 and were later trading at ¥9,376, up 6.4 percent, Thursday. SoftBank’s shares, which have climbed 54 percent over the past five years, value the company at around $87 billion and trade at roughly 10 times forward earnings. The company had about $123 billion of debt as of the end of March and has a debt-to-equity ratio of 3.97, compared with an industry median of 0.10. Shares of Alibaba, which has a market capitalization of $480 billion, trade at 27 times forward earnings. They have more than doubled since the Chinese e-commerce giant listed its shares in 2014. Tiger Global also based its SoftBank investment decision on the firm’s purchase of U.S. investment group Fortress and the launch of its nearly $100 billion Vision Fund to find and grow promising technology leaders. Son, a self-described “unicorn hunter,” set up the mammoth Vision Fund to invest in artificial intelligence and connected devices, with companies from office-sharing firm WeWork to dog-walking app Wag receiving funds. A similar second fund is on its way, Son said in May. Tiger Global was not available for comment outside regular U.S. business hours. 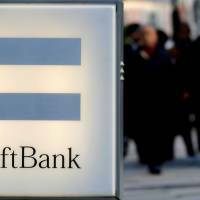 The news of Tiger’s stake, earlier reported by the Financial Times, comes after SoftBank announced Tuesday it has raised its stake in Yahoo Japan by buying $2 billion worth of stock from U.S. firm Altaba.